Too bad Demøcrooks didn't bother to "find out what is in it" before they alone passed it. ObamaCare mandates that employees must undergo medical testing to be eligible for reduced premiums, yet federal law says this is illegal. uick, get on the Øbamafoan™ and tell Der Fübar to use his Executive Action Pen®. Labels: Democrat War on Americans, liberals are always extreme, Obama kills more jobs, Obama Lied Your Healthcare Died, socialist injustice, Stupidity of the Democrat Voter, Worst. pResident. Ever. Compared to what Lincoln faced in 1861, or Roosevelt in late 1941, or Truman in 1950, or, yes, Bush in 2001, Obama's challenges are relatively modest. Government is not working because Obama subverted entire cabinet agencies and federal bureaucracies — from Homeland Security to NASA to Justice — to make them tools of larger efforts to advance the Obama multicultural therapeutic message rather than to honor and keep faith with their traditional agendas. When the president uses emphatics like "really" or "actually" or "make no mistake about it," "let me be clear," "in point of fact" or "this is unacceptable," we know that what follows will be untrue and others will be blamed for the president's own self-induced blunders. Labels: anti-America liberals (BIRM), Democrat War on Americans, desperate liberals (BIRM), lawless liberals (BIRM), liberals are always extreme, Obama's War on the Constitution, Obola, Worst. pResident. Ever. What we really need is executive action reform. ake no mistake: The naked-power-grabbing wimperor has let himself be absolutely clear. Yes he can violate existing law outright as well as personally suspend undermine it. He directly affords these violators safety and comfort throughout our country, beyond any fear of arrest and prosecution, by his knowing, willful, and ongoing failure to perform his personal duty to take care that the laws of the United States be faithfully executed. What better encouragement or inducement could any such alien have than the utter certainty there won't be any legally meaningful consequences whatsoever, all directly because of His Lawlessness' knowing, willful, and ongoing failure to perform his personal duty to take care that the laws of the United States be faithfully executed? He is directly collaborating with and "paying a debt" off to others who together and individually solicit, facilitate, provide cover for, and derive private financial gain from his knowing, willful, and ongoing failure to perform his personal duty to take care that the laws of the United States be faithfully executed. His accomplices couldn't have gotten away with committing the above criminal acts either but for his knowing, willful, and ongoing failure to perform his personal duty to take care that the laws of the United States be faithfully executed. He holds off "paying a debt" that a whopping 73 percent of Americans oppose, for the purpose of affording his rubberstamping Demøcronies in Congress a better chance of winning their reelections and thus retaining their extremely good-paying "jobs" and private salaries. Also, be on the lookout for the lenders of that debt making contributions to his library after he leaves office, paying him exorbitant speaking fees, and offering him and his extremely indictable coconspirators cushy lobbyist positions, just to name a few clear examples of anticipated private financial gain. Five million harbored/encouraged/induced aliens multiplied by 10 years each, equals the maximum 50,000,000 years of imprisonment His Criminal-in-Chiefness thoroughly and richly deserves. Which means he'll be eligible for parole in A.D. 40002014, give or take a few millennia. Our descendants then, no doubt, will be trying to still pay off the additional debt he's saddled us all with. Tack on another 25,000 millennia to his sentence. I.e., civilians and public safety officers being grievously wounded or shot at as a direct result of his knowing, willful, and ongoing failure to perform his personal duty to take care that the laws of the United States be faithfully executed. Centipedes will have evolved and colonized the entire known universe with their starships before His Feloniousness can be released from prison. I.e., civilians and public safety officers being murdered as a direct result of his knowing, willful, and ongoing failure to perform his personal duty to take care that the laws of the United States be faithfully executed. be punished by death or imprisoned for any term of years or for life, fined under title 18, or both. He definitely deserves the needle for all the murderous havoc and mayhem directly attributable to every one of his heinous crimes. "Gross proceeds" of His Slimeballness' continuous crime spree, including his salary, pension, and other ill-gotten wealth, should be redistributed to those whose lives and livelihoods he's been wrecking and destroying by his serial violations. It would be partial justice. This horror movie the America people are either haplessly living or mercilessly dying in is called Guilty & Guiltier, and it stars Baracrook Øtyrant and his AG in the title roles. Labels: Democrat War on Americans, fascist totalitarian liberals (BIRM), Impeach.Obama.Now., lawless liberals (BIRM), Obama kills more jobs, socialist injustice, Where's the Fence?, Worst. pResident. Ever. They're not called the family jewels because they are ordinary. They're not referred to as stones because they're impervious to injury. No, they are both extraordinary and surprisingly fragile. So, sorry notsorry if we give them some breathing room when we sit, if we don't smash them betwixt our legs on public transit. But as the horizon of "male privilege" is constantly expanding, giving the old wedding tackle ample space is now a crime against humanity. The Metropolitan Transit Authority (MTA) announced on Monday that a new campaign addressing courtesy on public transportation will come into effect by January. One of the targeted behaviors is 'man-spreading' — the act of spreading one's legs so far apart that other passengers are forced to squish their own together. These extremist testisphobes won't be satisfied until only castrati and non-men are permitted to be passengers. Or anything else, for that matter. The Party of Wishful "Thinking" and the HuffPost accommodating its members' libelous ramblings. I hate to say that I told you so, but I told you so. I warned you almost two years ago that the Republican Party had to extend its appeal to Hispanics. 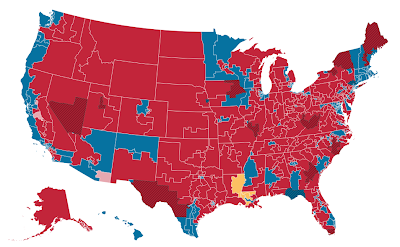 Instead, we kicked up a s**tstorm over stalling on immigration reform, and we lost the House because of it. And now, we've got a big, fat load of nothing. 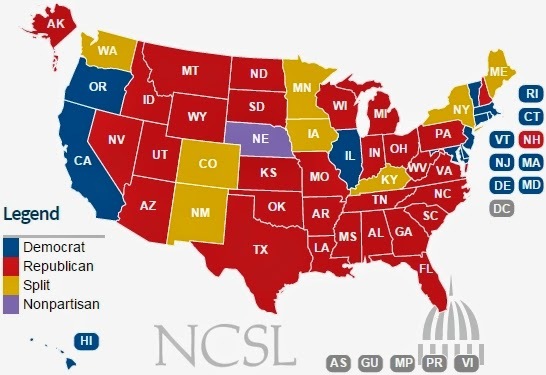 U.S. Senate and House and an overwhemling majority of state governorships and legislatures now in Republican hands. The last time DemØcriminals held less House seats, your grandfather was a kid; and the Civil War was breaking out when they controlled fewer state legislatures. (c) In the 2012 Presidential election cycle, we lost the Hispanic vote by a ridiculous 68 percent to 30 percent. So we already were skating on thin ice, going into the 2014 midterm elections. And what did we do? We started jumping up and down on that thin ice, we crashed through it, and we drowned. It appears your bloated corpses are the ones washing up en masse on that frozen beach. It should have told us something when Senators like Rubio, McCain and Flake, Republicans representing states with lots of Hispanic voters, said that we needed immigration reform. The Tea Party kept yelling that we would lose big if the undocumented won a path to votership. Yet the Republican Senators who supposedly had the most to lose from this, those very ones, spoke out for immigration reform. Even more than they are. Pandering to this or that group or class to get their votes is for losers. Governing for the benefit of and in the interests of all Americans is what winners do. And it should have been obvious what we had to do, when a substantial number of Republican Senators came out in favor of a sane and rational immigration bill. The Tea Party was hoping that the immigration bill would meet the same fate as the April 2013 gun control bill — death by filibuster. They were wrong. Sen. McConnell couldn't hold the Republican Senators together in a filibuster, because even at that early point, the polling showed that there were a lot more single-issue pro-immigration voters than there are single-issue pro-gun-control voters. And that was before all the fun started, in 2014, in the House of Representatives. Boehner told us, "Don't worry, I've got this." And then he went into the usual Orange Man routine: lots of bills, lots of hearings, lots of meetings with "stakeholders," lots of letters back and forth between House Committee Chairs and Obama Administration officials, lots of amendments, mark-ups in three different committees, etc., etc. All while the Hispanic vote was coming to a slow boil. And then the party-line House Floor vote, and Boehner's refusal to put any Senate bill up for a vote, and Boehner's refusal to appoint House-Senate conferees. At which point, the Hispanic vote boiled over. Your share dropped this election. It was the same as the 2010 midterms'. The only boiling over going on around here is what appears to be an Ebola-like fever melting away the last few viable micrograms of grey matter clinging for dear life to the insides of your otherwise empty skull. For once, the White House communications staff got it right. Instead of the president assailing "Congress," the president assailed the Republicans. And he hit us where it hurt, calling out Republicans as heartless and soulless. The "Mean Party." I particularly well-recall when our supposedly "Muslim" president quoted Matthew 25:40 from the King James Bible: "Truly I say to unto you, inasmuch as ye have done it unto one of the least of these, my brethren, ye have done it unto me." Plenty of Hispanics came right out and called us racists. Perpetually aggrieved self-haters like you can only "think" of calling whoever opposes their insane words and deeds that. Not winning the argument? Then accuse the other person of being a racist, sexist, homophobe, bigot, heartless, mean, etc., etc., etc.! How original. Besides, Demøcrasshole, "Hispanics" aren't a race. Unless you "think" feel "Americans" are too. Actually, the American people have a rich and vital heritage that, unlike you and your divide-and-conquer party, Republicans love truly and completely and are working hard to universally and faithfully promote, preserve, protect, and defend. And then, as the clock ticked down, the protests — Oh God, the protests. Undocumented workers saying that they had worked for weeks and never been paid. That they had worked 70 hours each week in the hot sun, and hadn't been paid enough to feed their hungry babies. Teenagers pleading for the chance to remain in the only country that they could remember, and not be exported like farm animals to a place that they had never known. Women testifying that they had been raped, but were afraid to go to the police, because they feared deportation and permanent separation from their own families. And then the Tea Party lunatics started showing up at the protests with guns, and threatening "citizen arrests." And then crazy Sheriff Arpaio started making real arrests. Every night, on the news. For weeks. Then months. While the House Republicans engaged in vigorous onanism. Your so-called president and party's mindless refusal to enact or enforce any laws that would prevent all these Dire Consequences™ from ever happening is the real culprit. Not that self-gratification you're projecting onto Republicans. Lawless, open borders invite nothing but false hopes and massive exploitation ultimately for the tens of millions of people whose greatest dreams your nationally suicidal "executive actions" and "reforms" can only crush. Just wave after unsustainable wave of them left withering underneath those cruel rays of your monotonously stellar promises. Speaking of projection, why don't you break precedent and be honest with the American people for a change? Tell them that "path to [Demøcriminal] votership" is the sole thing you soulless bastards are after with your supercharged magnets. Well, we learned that we didn't have a lock on the House. And we lost it in a way that nobody expected, except that one guy in Central Florida. (For sure, the Three Stooges, Rothenberg, Cook and Sabato, never saw it coming.) We got the Hispanics so incensed that they voted 90-to-10 against us, just like the African Americans do, every time. Your total obsession with race continues to be your undoing. Have you bothered to ask what really incenses them — besides, of course, your taking them entirely for granted? After you Demøcriminals took over the House and Senate in 2007, did you do anything about poverty, underemployment, wage gaps, welfare dependence, or prime working-age participation — besides, of course, making them all worse? Did you show you care far more about creating a government that's helpful and accountable to all of us than a party that just counts on helping itself to this or that group's votes? After the 2012 election, there were 19 House Republican seats in districts that were 25 percent Hispanic or more. We managed to lose them all. Every single one of them. Ileana Ros-Lehtinen — gone, after 25 years. Hispanics were so riled up against Republicans that even tokenism didn't work for us. Diaz-Balart and Nunes (Portuguese, actually) were swept out, along with Pearce and Farenthold. At the last minute, there was a Republican push in Texas to remove party identification from the ballot, but that went nowhere. So Farenthold, Neugebauer, Conaway, Poe and Culbertson all kicked the bucket. All who sought reelection are alive and kicking, Dumbøcrass. And you spelled Culberson's name wrong to boot. All those running bested you. Plus Buck McKeon along with John Campbell were succeeded by Republicans. You should've mentioned that Gary Miller announced his retirement months before HuffPost let you puke your unsightly, slanderous drivel up on it. But since his successor is the only one in California you can vigorously self-gratify to before going blind, that means you went from 38 (not 34) to 39 (not 44) Demøcriminals there. Whoopee. Losing those 19 seats just killed Republicans in the House. (We had only 17 to spare.) The Democrats actually gained seats in the Senate — including one in Texas, which is now just under 40 percent Hispanic. Farewell, GOP filibusters in the Senate! Unless by "gain" you mean bidding farewell to eight nine of those seats. But we still have the Supreme Court, right? Well, maybe not, since Justice Scalia, now 78 years old, went into the hospital last month, and he hasn't come out yet. But if it helps you engage in a lot of that vigorous onanism, don't mind us. We're not your optometrist. Oh, well. At least you and your international Demøcrimesyndicate have stopped fantasizing about assassinating President Bush. In the last few days, I've spoken to a lot of lobbyists (or as I like to call them, "the owners") — at least the ones who still take my calls. They weren't happy even before the election. Nothing was moving through Congress, which means that nothing was moving for them. But now, with the Democrats holding the White House, the House, and a filibuster-proof majority in the Senate, I've got nothing to offer them. The Chamber of Commerce doesn't care about abortion. It doesn't care about the Second Amendment, or about gay marriage, or about prayer in the schools. The Chamber of Commerce cares about tax breaks and drilling rights and deregulation and no-bid contracts and bailouts. And now, we here in the GOP have no way to help them. And the electorate? They now see us Republicans exactly as so many of us really are: as callous, bigoted tools. You're also forgetting to slander the millions upon millions of regular Americans who voted for these "callous, bigoted tools" as well. Then again, you might somehow actually "think" feel mindlessly belittling others isn't the most surefire way of persuading them to cast their ballots for you and your ilk next time, instead. Nah, that's giving you too much credit. Must be HuffPost simply forgot to provide you enough space to accommodate your entire scurrilous screed. Gentlemen, we have taken the biggest special-interest money machine in the history of the world, and we have destroyed it. By defeating some immigration bill that millionaires and billionaires and multinational corporations actually would have benefited from. It's you and your extremely overpaid multimillionaire minions who still "think" feel yes you can benefit from, in their own words, "the stupidity of the American voter." No, don't bother lying that you never heard of your party's Gruber Rule™. Speaker-Elect Nancy Pelosi already has told us what she, personally, will introduce H.R. 1: The Immigration Reform Act of 2015. With an 18-month path to citizenship that leaves several months to register all of those undocumented Democrats before the 2016 election. Consolidating the permanent Democratic majority. Goodbye, Texas. Goodbye, New Mexico, Arizona, Nevada, Colorado and Florida. In every national election from Day One, the Democrats now start with 30 percent of the national vote from African-Americans and Hispanics, and then they see how far they can run up the score. In other words, the Grand Old Party is now the Grand Dead Party. But it was nice of you to finally admit in your parting shot there the real reason you "care" about the unlawfully-present aliens your unctuous pandering and unkeepable promises help bring here. You and you so-called president and party still don't see. Labels: anti-America liberals (BIRM), Democrat War on Americans, greedy and selfish liberals (BIRM), liberals are always extreme, Senatormageddon, Where's the Fence?, Worst. pResident. Ever. merican Indians, by and large, don't give a flying ugg about this target du jure of the perpetually-offended progressofascist groupthinkers. But the latter's doublethinking term "Native American" they do find unacceptable. Everybody else born on American soil isn't a native? Another example of thin-skinned (Is that racist?) self-haters projecting their undying sense of utter worthlessness onto a proud people who neither welcome nor require their unhelpful "protection." Baracrook Øliar's $400,000 "some adviser" Jonathan Gruber is claiming every voter who'll go along with whatever they're lying about is stupid, not any voter who's known all along their Øbamessiah is nothing but a stinking evil liar. oting Demøcrook means never having to say you're in denial. Reality can pick a Demøconned voter up by the collar and slap him/her/whatever around like a rag doll, and he/she/whatever'll still believe the most transparent of lies. So long as it's lying Demøliars telling those lies. Make no mistake: The only thing Demøconartists are sorry about is one of their own gleefully spilt the beans that they really love their stupid voters. The more stupid they are, the better Demøconartists love them. They know without the stupidity of the Demøconned voter, they never could've gotten away with inflicting so much damage on our country and ruining the lives and livelihoods of all her people. The only thing you stupid voters need to know is they "care" enough about you to always lie to your face. Let Øbamemyself&i and his fellow lying Demøliars be absolutely clear: Their telling you all those lies is really for your own good. Labels: desperate liberals (BIRM), liberals are always extreme, lying liberals (BIRM), more liberal hypocrisy, Obama Lied Your Healthcare Died, Stupidity of the Democrat Voter, Worst. pResident. Ever. hey're not even good lies in anyone's view, either. Unless you're one of the approximately two Americans left who still believe, under ØbolaCare, they can keep their health care plans and doctors if they like them. Period. Then yes you can consider all of Øbola's lies "good." You have already drawn some of the brightest minds from academia and policy circles, many of them I have stolen ideas from liberally. People ranging from Robert Gordon to Austan Goolsbee; Jon Gruber; my dear friend, Jim Wallis here, who can inform what are sometimes dry policy debates with a prophetic voice. If you're still swallowing anything that spews out of Øbola's liehole, you don't require the willing suspension of disbelief. You require an emergency addabrainomy. But before you can get one, you'll have to sign the special ØbolaCare release form — and, no, reading it first is not permitted. Don't you know you have to sign the form so that you can, uh, find out what is in it? Then again, what difference at this point does it make? Labels: Democrat War on Americans, lawless liberals (BIRM), liberal hypocrites (BIRM), liberals are always extreme, lying liberals (BIRM), Obama Lied Your Healthcare Died, videos, Worst. pResident. Ever. Gruber's role was further explicated by a former adviser to Kathleen Sebelius, the former secretary of [Øliar's] Health and Human Services. "I remember many a call to Jonathan Gruber about his expertise in Massachusetts as we were formulating the [Øliar'Care'] plan," said Neera Tanden, who is currently the president of the Center for American Progress, in 2012. "Not only did we call in Jon Gruber for his advice regularly, but we looked very much at the results (of the Massachusetts plan)," she continued. From "some adviser who never worked on our staff" and "no reflection on the actual process that was run," to "many a call to Jonathan Gruber as we were formulating the plan" and "call in Jon Gruber for his advise regularly." That's quite a lengthy stretch, Øliar. Right up there with "depends on what the meaning of the word 'is' is" and "if you like your health care plan, you can keep your health care plan – period!" What were you "thinking," Øliar? Do you still "think" feel yes you can rely on the "stupidity of the American voter" to get away with telling all your lies? Oh, well. It's not like anyone with more brain power than a retarded intellectually disabled paramecium believes anything you say now. Labels: Barackover-up, Democrat War on Americans, lawless liberals (BIRM), liberals are always extreme, lying liberals (BIRM), Obama Lied Your Healthcare Died, Obama's War on Truth, Worst. pResident. Ever. he following amendment would resolve several critical issues concerning the amending process: Can a state legislature rescind its previous ratification of a constitutional amendment? Can it withdraw any of its applications for a convention of the states? Does Congress have power to control when, where, and how that convention is held? or do the legislatures have such power? Proposing an amendment to the Constitution of the United States relating to conventions for proposing amendments and ratifications of amendments. “Section 1. The legislatures of two-thirds of the several States on whose application the Congress shall call a Convention for proposing amendments shall have sole power to prescribe the times, places and manner of holding that Convention, and each of them may, before the Congress is required to call the same, direct its removal from that application. Although each of the present 27 amendments has added at least one new word to the Constitution's vocabulary, the above amendment wouldn't. Since it would be amending the provisions of Article V of the Constitution, that seems most appropriate and prudent. No need to give any branch of the federal government an untoward opportunity to mindlessly promulgate novel definitions for enhancing its already extravagant powers. One issue left unresolved is whether Congress can simply tack onto its introductory clause any conditions not specifically provided for in the Constitution, such as no amendment it proposes will be valid unless ratified "within seven years from the date of its submission by the Congress." When such is included in the amendment's actual text, there is no ambiguity. But this should be a plain enough matter over which good sense and judgment again prevails. Another is whether Congress should have power to summarily cancel the ratification process — to, in effect, "un-propose" a submitted amendment — either before a sufficient number of state legislatures have ratified it or retroactively by declaring its adoption isn't permitted because, for example, it wasn't done "within a reasonable time." The courts have sense enough not to touch this. If any members of Congress voting in favor of granting themselves such power are also stupefyingly unaware they've just committed certain electoral suicide, why would anyone wish to waste time trying to enlighten them? In any event, such an amendment's provisions should help resolve the most critical of these unsettled issues. * Early last century, during efforts to provide for the direct election of U.S. senators, "many states began sending Congress applications for conventions. As the number of applications neared the two-thirds bar, Congress finally acted." Every word now in it has, more or less, settled meaning. Any amendments that add new ones, however, could open the door to all sorts of unanticipated mischief. he United States Constitution's remarkably small vocabulary isn't a bug. It's a vital feature for the protection of every citizen's liberties. Even with just 1,068 different words to "interpret" twist and mangle, we've already seen how much damage the judiciary and other branches can pompously inflict on those liberties. (Øfascist"CareTax", anyone?) Adding constitutionally-unknown words like "balanced budget," "gross" domestic "product," or "political equality" would merely give them all leave to inflict even more. Authors of proposed amendments who wish to avoid opening this door would do very well to confine themselves as much as possible to that limited vocabulary. There's plenty to work with to accomplish almost any new amendment's purposes without the introduction of any unprecedented sources of abuse which could work to undermine either them or our individual liberties. ake no mistake: The greatest threats to our public health and national security are you and your should-be-indicted co-conspirators still in Congress trying to smuggle hordes of illegal immigrants new voters across our Border In Name Only™. Clearly, that end justifies even the most deadly means for you. Typhoid Øbamary, you're the first one who should've been involuntarily quarantined, as you're the most virulent vector of fast-spreading fatal diseases ever seen in this country. Do the American people all a favor. Stay in China. Let your communist comrades get a good, long look at your banality and the insipid "job" you're doing. "The Obama Administration Øbola Fascistration has been working overtime to keep the reporting and narrative away from blaming the ongoing illegal and undocumented immigrant invasion into the country. Media reports show at least eight known deaths from EV-D68 in the U.S. in 2014." Forget self-isolating yourself, Øbola. If you really cared about protecting American school children you'd self-impeach. Labels: Democrat War on Americans, Democrat War on Children, Democratyrants, lawbreaking liberals (BIRM), lawless liberals (BIRM), liberals are always extreme, Obola, Where's the Fence?, Worst. pResident. Ever. xecutive amnesty not only is unlawful and unconstitutional — "Congress [not any fascist tyrant dictatør goosestepping around the White House golf course] shall have power to establish an uniform rule of naturalization" — it is literally a death sentence for your children. This ØbamWar on your daughters and sons has already brutally claimed the lives of two of our precious children. Evidently, fascist Øbola won't be satisfied with anything short of a nationwide biological massacre. His Pediacideness intends to comprehensively release killer contagions in every American child's classroom. Congress has both the power and the duty to stop him before yes he can. Before Øbioweapon willfully and wantonly murders any more of our innocent children. Labels: anti-America liberals (BIRM), Democrat War on Children, liberals are always extreme, Obama Is THE National Security Threat, Obama's Wars, Obamabuse of Power, Obola, videos, Worst. pResident. Ever. Toward our Article V Convention. epublicans will hold 31 of the country's 50 governorships next year [and also up to] 69 of the 98 partisan state legislative chambers — more than at any point in history." This further bodes well for the first-ever convening of a convention of states for proposing amendments to the U.S. Constitution. If all thirty Republican-controlled legislatures and Nebraska's, along with just three of the remaining states' — eight of which have a Republican-controlled house or senate — send an application for it to Congress, the Congress must call that convention. Then, as Alexander Hamilton says in Federalist Paper 85, "We may safely rely on the disposition of the State legislatures to erect barriers against the encroachments of the national authority." The articles approved by the convention be proposed as amendments to the Constitution of the United States, which shall be valid to all intents and purposes as part of the Constitution when ratified by the legislatures of three fourths of the several States, or by conventions in three fourths thereof, as the one or the other mode of ratification may be proposed by the Congress. This application be deemed null and void, rescinded, canceled, and of no effect in the event that a convention for proposing amendments includes purposes other than providing for amendments to the Constitution of the United States reading substantially as those contained in this resolution. Finally, every state legislature making this application would request each of the others make it too, and would transmit certified copies of it to them and to both houses of Congress and the U.S. representatives and senators from that state. After the first legislature sends this application to Congress, the others need send only their concurrence. As it so happens, Georgia's legislature made an application last March for an Article V convention for proposing amendments that "impose fiscal restraints on the federal government, limit the power and jurisdiction of the federal government, and limit the terms of office for its officials and for members of Congress." Alaska's then Florida's followed suit a month later using the same language. The strategy is particular subjects rather than particular amendments; and the amendments suggested here for that convention each falls within one of those subjects. When this application is made by the legislatures of 31 more states, we'll be closer than we've ever been in living memory to "erecting barriers against the encroachments of the national authority." Labels: a Republic if we can keep it, Article V Convention for proposing Amendments, Good News, good versus evil, patriotism, Power to the people, Yes Yes Yes. God Bless America. A.k.a. the last time Demøcrooks held fewer seats in our House of Representatives. heir 183 number of seats is the third lowest for them in its entire 435-member history. Over the last hundred years, only the 67th and 71st Congresses were plagued by less House DemØfascists. The next Congress will be tying the 69th for third least infestation of House Demøcommies. Not only was this election not "nothing," it was historic. "A big freakin' deal," to paraphrase foul-mouthed racist Vice Presentdunce Joe Biden. Make no mistake™: According to His High-Crimes-and-Misdemeanors-ness Baracrook Øbola, every single one of his failed, lawless policies were on the ballot. Indeed, as the election results clearly show, every single one of them have been rejected outright by the American people. The Republican leadership would do well to show just as clearly they reject every single one of His Lawlessness's policies, too. Labels: corrupt Democrats (BIRM), Democrat War on Americans, lawless liberals (BIRM), liberals are always extreme, ObaDunce FAILS, Obamabuse of Power, out-of-touch liberals (BIRM), Worst. pResident. Ever. and understand we must endure and do much more. Labels: a Republic if we can keep it, good versus evil, Sealing the fate of freedom's enemies, Senatormageddon, Yes Yes Yes. God Bless America.